It looks promising for Afghanistan as they look to make it to their second consecutive World Cup, after Nepal’s win sends the Afghans through from Group B on net run rate. With three losses to their name, Afghanistan were ahead of Hong Kong on net run-rate and needed a big favour from Nepal in order to progress. Paras Khadka’s side delivered with a stand of 89 between Rohit Kumar and Sompal Kami that then rescued them from 66-5, having bowled Hong Kong out for 153. 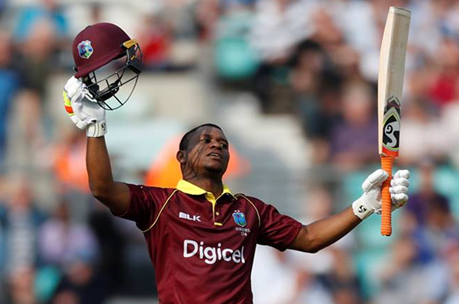 West Indies with big hitter Evin Lewis made it four straight wins at World Cup qualifying after beating the Netherlands in Harare earlier this week. Lewis hit a massive 84 as the two-time World Cup winners got 309-6 from 48 overs in drenched weather conditions, as the Netherlands had a lot of catching up to do with 167-6. This meant that Windies were top of Group A, with Ireland progressing too with 226-run thrashing of the United Arab Emirates. Irishman Paul Stirling inflicted a scorching 126 as the Irish got 313-6 from only 44 overs, before wiping out the Emirates for only 91, hardly a surprise there really. With two points Ireland now head to the next round as the other six sides prepare to battle it out and hope for some luck for the last two spots at next year’s tournament in England and Wales. One match to look out for is between Zimbabwe and Scotland, after a memorable tie in Bulawayo and with three points each, this promises to be another well contested match. Scotland lost wickets at regular intervals during the chase but found themselves only needing two from seven balls with two wickets in hand, the Scots lost two batsmen in two deliveries, ensuring a tie. The Netherlands managed just the one win in the group stage, against Papua New Guinea. Having lost their remaining three fixtures against Ireland, United Arab Emirates and Windies, who topped Group A with four consecutive victories. No doubt they will now be hoping for some luck as we approach the next stage of tournament. The main concern for the Dutch has got to be their batting, with the vital openers having failed to deliver when it counts and the rest of the line-up not managing to handle the added responsibility that came about following poor performances. Hong Kong has also had to contend with poor batting, with Christopher Carter, in for Aizaz Khan in HK’s last group encounter against Nepal, but Carter failed to provide a comfortable foundation for Hong Kong. Captained by Babar Hayat, who has been off form of late, meant that Anshuman Rath, who has been among the runs, will once again play a key role in the middle order. In other news, it’s third time unlucky for Brian Vitori as he was handed a suspension last week by the Event Panel of the ICC Cricket World Cup Qualifier 2018. The reason being that the left-arm fast bowler uses an illegal bowling action. 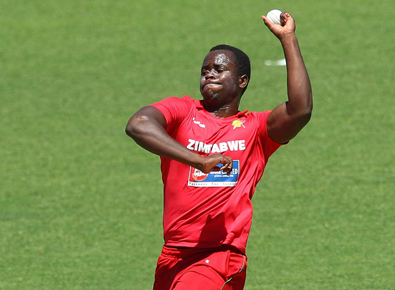 “As per Article 3.6.2 of the ICC Illegal Bowling Regulations, Vitori’s bowling action was filmed in the next match he played after being reported, which was against Afghanistan on Tuesday, and the video footage of his bowling spells were provided to the Event Panel of Helen Bayne and Mark King, who are both members of the ICC Panel of Human Movement Specialists, for analysis and assessment,” said the ICC on Thursday. “Vitori’s latest reporting has been dealt with in accordance with the regulation, for a Specified Event, which includes the ICC Cricket World Cup Qualifier 2018. 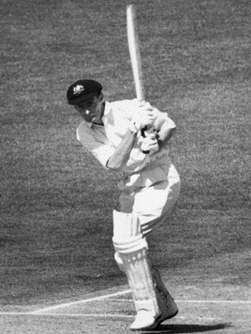 Perhaps Vitori has a lot to learn from Brian Booth, considered by many as one of the nicest men to have ever played Test cricket. No one has ever had a bad word to say about Booth. A pious man, he attends a religious service every Sunday on tour, even the party boys have nothing but praise for the man. Booth was also modest to a fault. We can safely assume that having beaten the UAE, Ireland and the Netherlands we are now seeing somewhat of a statement of intent from the Windies for next year’s tournament in England and Wales. Having gained four points already, they should be able to win this tournament.